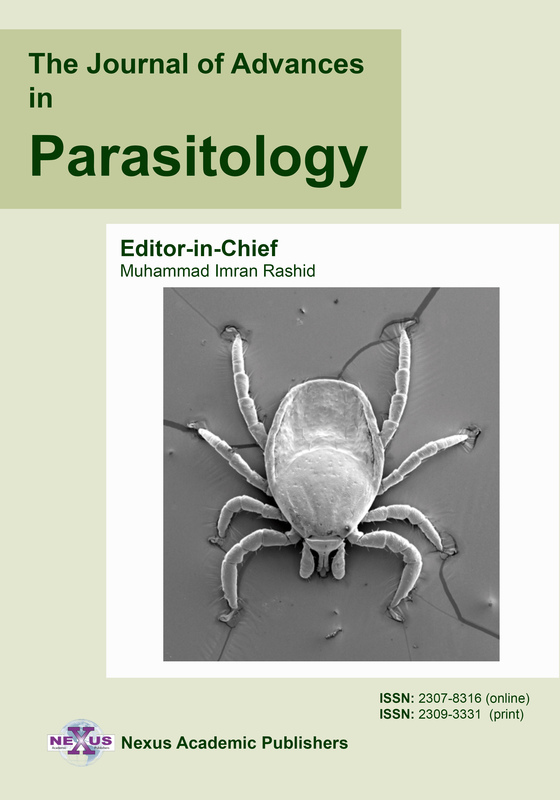 ARTICLE CITATION: Goraya MU, Ashraf M, Rahman SU, Habib A (2013). Determination of antibacterial activity of bacteriocins of lactic acid producing bacteria. J. Inf. Mol. Biol. 1 (1): 9 – 12. This study was conducted to explore the potential of bacteriocins, produced by lactic acid producing bacteria, against Staphylococcus aureus, Eneterococcus fecalis and Escherichia coli. Different lactic acid producing bacteria viz. Lactobacillus fermentum, Lactobacillus acidophilus and Lactobacillus rhamnosus were isolated from milk, milk products of dairy animals and intestinal contents of healthy broiler chicken. These isolates were identified morphologically and biochemically by conventional methods. Bacteriocins were obtained from these bacteria, by precipitation method. Antibacterial activity of bacteriocins was determined by disk diffusion method. Isolated bacteriocin showed the inhibitory activity against Staphylococcus aureus and Enterococcus feacalis but showed very poor inhibitory activity (2mm) against Eschrechia coli. The result of this study showed that bacteriocins are quite useful against commonly known food pathogens and thus can be used for the preservation of food and food products. Fermentation is the oldest known technique in food processing technology that has been used for preserving milk, meat, and vegetables. The lactic acid bacteria as natural or controlled micro flora enabled man to extend the shelf life of many foods and food products by antimicrobial activity of their antibacterial products (Fox, 1993; Stiles, 1996). Strong antagonistic activities have been shown by lactic acid bacteria against many pathogenic and food spoiling microorganisms. Some strains have been used for food preservation because of their potential to produce bacteriocins (Brink et al., 1998).While lactic acid fermentation; lactic acid bacteria have potential to produce different compounds of lactose such as organic acids, diacetyl, hydrogen peroxide, and proteins (Brink et al., 1998; Ouwehand, 1998; Zhennai, 2000; Oyetayo et al., 2003). Bacteriocins are produced by both Gram positive and negative bacteria. These are released extra–cellular by the bacterial cell ribosome in the form of low molecular weight peptides or proteins that have bactericidal or bacteriostatic effect on other closely related species (Tagg et al., 1976; Clevelan et al., 2001; Chen and Hoover 2003; Cotter et al., 2005). Due to the stable antimicrobial activity at high temperature and different pH of many foods, there is a great interest in bacteriocins as food bio–preservatives. Nisin and Pediocin PA–1 are classical examples of bacteriocins produced from lactic acid bacteria that have practical application as food preservative (Montville and Chen, et al., 1998; Galvez et al., 2007). There are speculations that many commensal and lactic acid bacteria have antibiotic resistance genes similar to the other human pathogenic and food spoiling bacteria (Ammor et al., 2007). Due to the resistance of many bacteria to antibiotics and increase demand for less processed, safe and having less chemical additives in food have provoked the interest in replacing these products by naturally safe products such as bacteriocins (Parada et al., 1980; Chopra et al., 1998; Rao, 1998). This study, therefore, has been conducted to ascertain the antibacterial activity of bacteriocins against commonly known food pathogens, and to investigate whether the use of bacteriocins is beneficial for the preservation of food and food products. 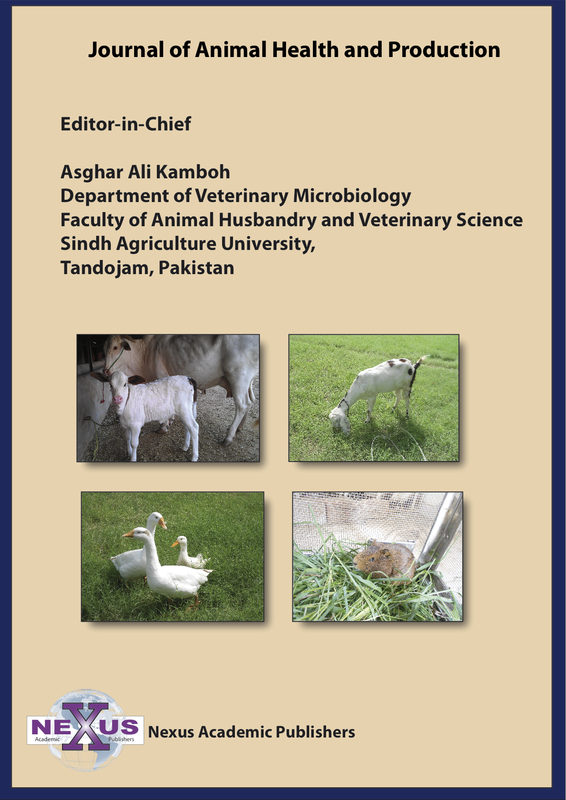 Lactic acid bacteria were isolated from 15 different samples of raw milk from household cow, yogurt collected from different commercial sites, and intestinal contents of broiler chicken from five different farms (n = 5 each) from Faisalabad, Pakistan. All samples were stored at +4°C for further processing. Yogurt, milk and supernatant of intestinal contents were diluted (1:10) separately in phosphate buffer saline (PBS). Lactic acid bacteria were isolated using deMan’sRegosa and Sharpe (MRS) agar plates procedure as described before (De Man Rogosa et al., 1960; Tufail, et al., 2011). Cultures were purified by streak plate method and lactobacilli species were identified on the basis of morphology and biochemical characteristics by conventional methods (Kalalou et al., 2004; Adesokan et al., 2008). Three species Lactobacillus fermentum, Lactobacillus rhmanosisand Lactobacillus acidophilus were isolated and identified and were stored at –80 °C in MRS broth medium containing 25ml glycerol/L (De Man Rogosa et al., 1960). The isolated lactic acid bacteria were propagated in 500 ml of MRS broth at pH 7.0, incubated at 37°C for 48 hours. For extraction of bacteriocin, a cell–free solution was obtained by centrifugation (10,000 rpm) for 30 min at 4°C. The extracted bacteriocin solution was precipitated by the addition of ammonium sulphate and phosphate buffer saline (PBS) was used to inhibit the effect of organic acids. These precipitates were suspended in 50 ml of 0.1 M potassium phosphate buffer (pH 7.0). Precipitates were collected and used in disc diffusion assay as described before (Savadogo et al., 2004). 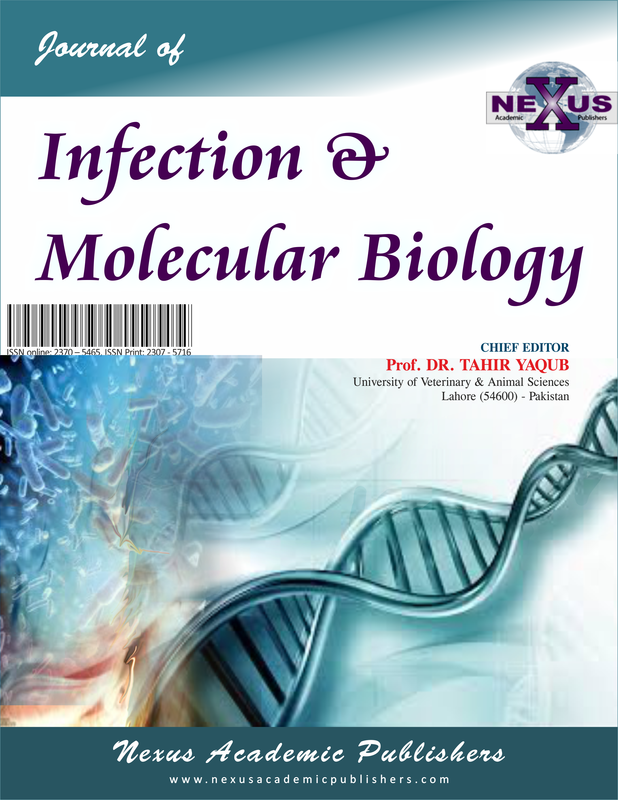 Antibacterial activity of bacteriocins was evaluated against known food spoiling bacteria such as Escherichia coli, Enterococcus faecalis and Staphylococcus aureus (obtained from Institute of Microbiology UAF Faisalabad).A disc diffusion assay procedure was followed (Savadogo et al., 2004; Tagg and McGiven, 1971) where 50 µg from each extract was placed on each disc. All the tests were performed on Muller–Hinton agar. Muller Hinton plates were inoculated by pathogenic bacteria (5×107 CFU/ml) and were left undisturbed for 2 h. Then the inoculated plates were incubated at 37°C for 24 h. The zones of inhibition were measured as recommended (Tagg and McGiven, 1971). The morphological characteristics of all the isolated bacteria were determined, which collectively had shown that these are common features for the lactic acid bacteria (Galvez et al., 2007; Krieg, 1984) (outlined in Table 1). Isolates A were identified as Lactobacillus fermentum, B as Lactobacillus acidophilus whereas C was identified as Lactobacillus rhmanosus on the basis of morphological and biochemical properties. In a study by Yang et. al.,1992 a very little amount of bacteriocins was isolated due to adsorption on to the cell surface. So an improved method was used by the use of ammonium sulphate for precipitation of protein, this method has several limitations. The results showed that the lactic acid bacteria were heterogeneous in both fermented product and in intestine. The inhibitory spectrum of bacteriocin, determined by disc diffusion assay, was mediated against Gram negative and Gram positive pathogenic bacteria. The extracts showed zones of inhibition against different known organism such as pathogenic strains of diverse bacteria (Enterococcus faecalis, Escherichia coli and Staphylococcus aureus). The varied range of inhibition zones were observed, which were measured in millimeters (inhibition diameter, mm) against indicator strains (Table 2). This inhibition indicates that these have tendency to contribute in the hygienic quality of foods and food products. Inhibitory activity was checked by disk diffusion method and zones of inhibition were measured by Vernier’s caliper. The diameters of inhibition were ranged from 2 to 11 mm; the largest diameter of 11 mm was shown by Lactobacillus fermentum on the indicator strain Enterococcus faecalis which indicates the variability and sensitivity of indicator strain against isolated bacteriocins. The smallest zone of inhibition was observed by the Lactobacillus rhamnosus bacteriocins on the indicator strain of E. coli. Most inhibited strain were Staphylococcus aureus and Enterococcus faecalis while only a single strain of E. coli was inhibited by the bacteriocin but at very low level. It showed that Gram positive bacteria were much more sensitive to bacteriocin of our lactic acid bacteria as compared to that of Gram negative ones. Maximum inhibition was shown by the isolate A (11 mm) and minimum was by the isolate C (2 mm) as shown in the figure. These results are partially in accordance to the study performed by Aslamet.al. (2011) where they have isolated bacteriocin from Streptococcus thermophilus and tested against Gram positive Staphylococcus aureus and Bacillus subtilus and Gram negative bacteria like Escherichia coli and Pasteurella multocida. Their results showed poor activity against Gram negative bacteria than presented in this study. Our results are also in compliance of the previous work performed by Savadagoet al.(2004). However, in contrast, they have isolated eight strains of lactic acid bacteria from fermented milk to produce bacteriocins. Isolated bacteriocin showed inhibitory activity against Enterococcus faecalis, Bacillus cereus, Staphylococcus aureus and Escherichia coli. Gram–positive indicator bacteria were most inhibited. These results indicate that the isolated strains of lactic acid bacteria are able to synthesize inhibitory substances against pathogenic bacteria. These inhibitory substances act differently on pathogenic reference indicator bacteria. A recent study conducted by Adesokan et al. 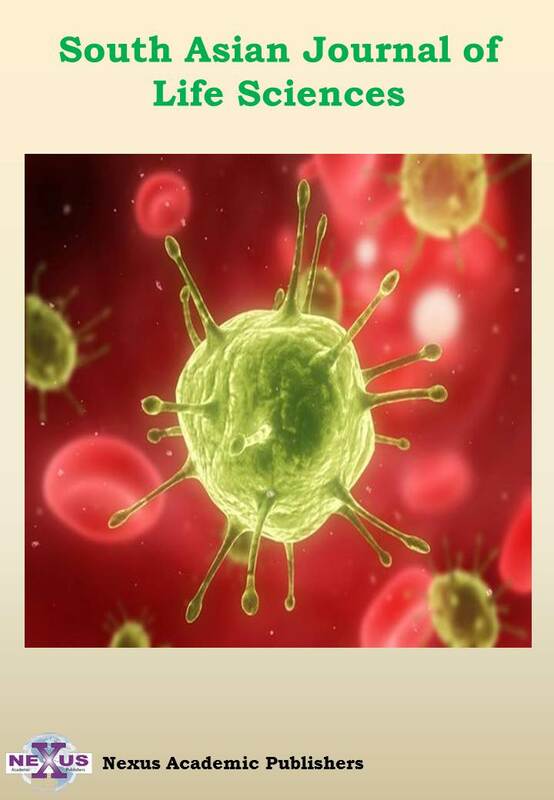 (2008) have observed less inhibitory activity against Gram negative bacteria as compared to Gram positive bacteria, by studying the effect of bacteriocin on Staphylococcus aureus, Pseudomonas aeroginosa and Escherichia coli. It has been observed that the inhibiting substances produced by lactic acid bacteria are generally protein in nature (Klaenhammer, 1993; Vandenberg, 1993). However inhibitory spectrum varies from each other, which depends on the variations in the strains used. Gram positive pathogenic bacteria can be most sensitive to bacteriocin produced by the lactic acid bacteria, as compared to selected Gram negative bacteria which have no suppressive effect on growth. This resistance showed by Gram negative bacteria was due to the meticulous nature of their cellular envelope, as bacteriocins effect by phenomena of adsorption. This may be due to the variation of the bacterial cell wall (presence or absence of peptidoglycan) against this bacteriocin. Lactic acid bacteria are mostly found in the fermented products of milk and vegetables.LAB occurs naturally in several raw materials such as milk, meat and flour used to produce foods (Garrity, 1984; Rodriguez et al., 2000). Bacteriocins are the compounds produced by the lactic acid bacteria. The ubiquitous nature of LAB can be beneficial for the natural preservation of food and food products. Bacteriocin, the ribosomal synthesized protein is biologically active complex protein with antimicrobial action against other bacteria, principally closely related bacterial species. 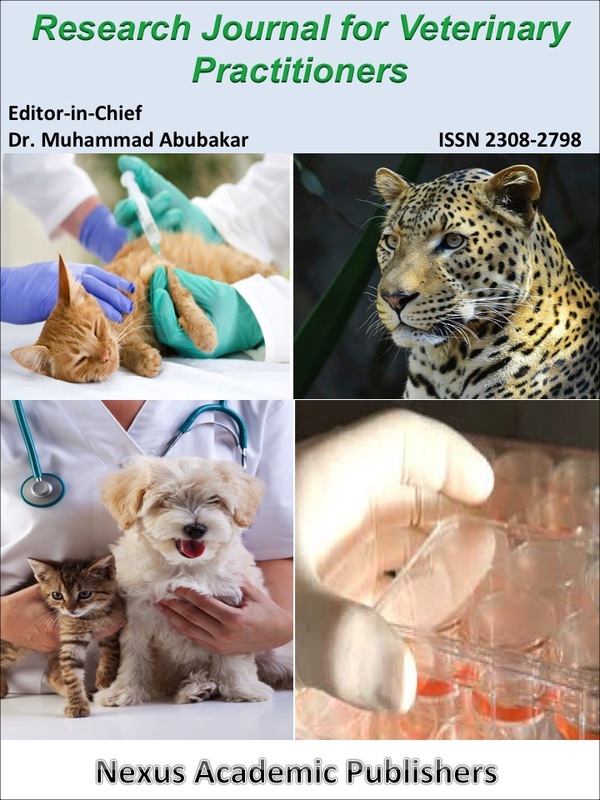 They are not termed as antibiotics in order to avoid confusion and concern with therapeutic antibiotics, which can elicit allergic reactions in humans and other animals. While in case of bacteriocin there is no side effect known yet. They are easily digested in digestive tract by the enzymatic action; therefore most of the LAB have safe status (GRAS) and are known as probiotics. Different diameter of zone of inhibition revealed that the pathogenic bacteria have different rang of sensitivity to bacteriocin except the Escherichia coli, which showed resistance against bacteriocins, but the exact cause is not known yet. Several studies have analyzed the level of inhibition in different bacteria of varied pathogenecity; the results are comparable with the previous studies (Kalalou et al., 2004; Schillinger and Lucke, 1989). The Bacteriocin of LAB has the potential to be used as antimicrobial and bio–preservatives in foods and food products and have no side effect or toxicity to the consumers. Lactic acid bacteria such as Lactobacillus fermentum, Lactobacillus acidophilus and Lactobacillus rhamnosus have great potential to produce bacteriocin in anaerobic conditions. Bacteriocins, antimicrobial compounds of LAB have provided with a competitive benefit over the other microbiota. Further studies should be focused on the genetical modification and characterization of amino acids and nucleotides sequence of these antibacterial compounds. There is also need to evaluate the compatibility of these products with other food preservatives or additives that are used to enhance the food quality and texture. Adesokan IA, Odetoyinbo BB and Olubamiwa AO (2008). Biopreservative activity of lactic acid bacteria on suya produced from poultry meat. African J. Biotechnol. 7(20): 3799 - 3803. Ammor MS, Flórez AB, Mayo B (2007). Antibiotic resistance in non enterococcal lactic acid bacteria and bifid bacteria. Food Microbiol. 24(6): 559 - 570. Anderssen EL, Diep DB, Nes IF, Eijsink VGH and Meyer JN (1998). 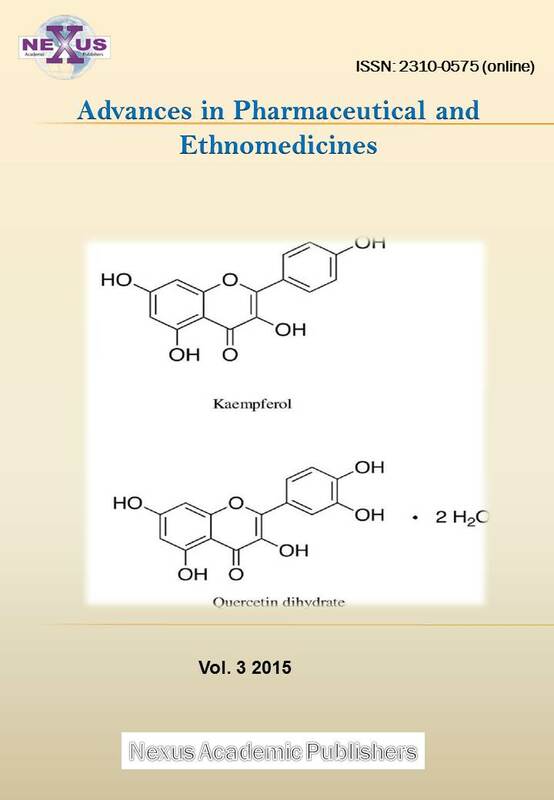 Antagonistic of Lactobacillus plantarum C1: two new two-peptide bacteriocins, plantaricins EF and JK, and the induction factor plantaricin A. App. Envir. Microbiol. 64: 2269 - 2272. Aslam M, Shahid M, Rehman FU, Naveed NH, Batool AI, Sharif S and Asia A, (2011). Purification and characterization of bacteriocin isolated from Streptococcus thermophiles. African J Microbiol. Res. 5(18): 2642 - 2648. Axellsson LT, (1993). Lactic acid bacteria: Classification and physiology", In.Salminen S., Von Wright A. (Ed. ), Lactic acid bacteria. Marcel Dekker, New York, USA 1-64. Brink TB, Minekns M, van der Vossen JMB Leer MRJ and Huis JHJ (1994). Antimicrobial activity of lactobacilli: preliminary characterization and optimization of production of acidocin B, a novel bacteriocin produced by Lactobacillus acidophilus M46. J. App.Bacteriol. 77: 140 - 148. Chen H and Hoover DG (2003). Bacteriocins and their food applications", J. Food Sci. 2: 82 – 100. Chopra I, Hodgson J, Metcalf B and Poste P (1998). The search for antimicrobial agents effective against bacteria resistant to multiple antibiotics, Antimicro. Agents Chemoth. 41: 497 – 503. Cleveland J, Montville TJ, Nes I F and Chikindas ML (2001). Bacteriocins: safe, natural antimicrobials for food preservation. Int. J. Food Microbiol. 71: 1 – 20. Cotter PD, Hill C and Ross, RP (2005). Bacteriocins: Developing innate immunity for food. Nature Rev. 3: 777 – 788. De Man Rogosa JCM and Sharpe ME, (1960) A medium for the cultivation of Lactobacilli. J. App. Bacteriol. 23: 130 – 135. Galvez A, Abriouel, HR, Lo’pez, L and Ben Omar N (2007). Bacteriocinbased strategies for food biopreservation.Int. J. Food Microbiol. 120: 51 – 70. Garrity GM, Bergey's manual of systematic bacteriology (1984). The proteobacteria, William and Wilkins, New York, USA. Kalalou I, Faid M and Ahami AT (2004). Extending shelf life of fresh minced camel meat at ambient temperature by Lactobacillus delbrueskiisubsp. Delbrueskii. J Biotechnol. 7: 1 – 6. Klaenhammer TR (1993). Genetics of bacteriocins produced by lactic acid bacteria. FEMS Microbiol. Rev. 12: 39 – 86. Krieg Bergey's N (1984). Manual of Systematic Bacteriology Williams and Wilkins: Baltimore, USA. Montville TJ and Chen Y (1998). Mechanistic action of pediocin and nisin: recent progress and unresolved questions. App. Microbiol. Biotechnol. 50: 511 – 517. Ouwehand AC (1998). Antimicrobial components from lactic acid bacteria". In: Lactic Acid Bacteria: Microbiology and Functional Aspects, Salminen S and Wright AV, (eds.). 2nd Ed., Marcel Dekker Inc., New York, USA. 139 - 159. Oyetayo VO, Adetuyi FC and Akinyosoye FA (2003). 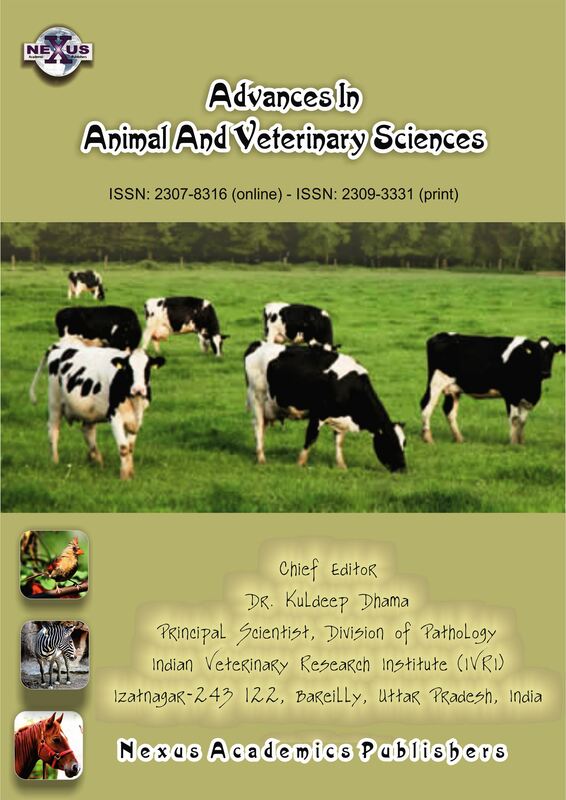 Safety and protective effect of Lactobacillus acidophilus and Lactobacilluscasei used as probiotic agent in vivo. African J Biotechnol. 2: 448 - 452. Parada JL, Gaon D and Chekherdemian M (1980). Focus biochemical y la genetic resistance to these antibiotics. Ars. Curandi. 4: 240 – 245. Rammelsberg M and Radler F, (1990). Antibacterial polypeptides of Lactobacillus species. J. App. Bacteriol. 69: 177 – 184. Rao GG (1998). Risk factors for the spread of antibiotic-resistant bacteria. Aids Int. 55: 323 – 330. Rodriguez E, Gonzalis B, Gaya P, Nunez M and Medina M (2000). Diversity of bacteriocin produced by lactic acid bacteria isolated from milk. Int. Dairy J. 10: 7 – 15. Savadogo A, Cheik ATO, Imael HNB and Traore AS (2004). Antimicrobial activity of lactic acid bacteria strains isolated from Burkina Faso Fermented Milk. Pakistan J. Nut. 3(3): 172 – 179. Schillinger U and Lucke F (1989). Antimicrobial activity of Lactobacillus sake isolated from meat. J. App. Envir. Microbiol. 55: 1901 – 1906. Stiles ME (1996) Biopreservation by lactic acid bacteria.Antonie van Leuwenhoek. (70) 331. Tagg JR, Dajani AS and Wannamaker LW, (1976).Bacteriocins of gram positive bacteria. J Clinical Microbiol. 40 : 722 – 756. Tufail M, Hussain S, Malik F, Mirza T, Parveen G, Shafaat S., Wajid A. Mahmood R, Channa R.A. and Sadiq A (2011). Isolation and evaluation of antibacterialactivity of bacteriocin produced by Lactobacillus bulgaricusfrom yogurt. African J. Microbiol. Res. 5(22) : 3842 – 3847. Tuncer Y and Ozden B (2010). Partial biochemicalcharacterization of Nisinlike bacteriocin produced by Lactococcus lactissubsplactis ybd11 isolatedfromboza, a traditional fermented Turkish beverage. Rom. Biotechnol. Letter. 15: 4940 – 4948. Vandenberg PA (1993). Lactic acid bacteria, their metabolic products and interference with microbial growth. FEMS Microbiology Rev. (12): 221 – 238. Yang R, Johnson MC and Ray B (1992). Novel method to extract large amount of bacteriocins from lactic acid bacteria. App. Environ. Microbiol. 58: 3355 – 3359. Zhennai Y, (2000). Antimicrobial compounds and extracellular polysaccharides produced by lactic acid bacteria: structures and properties. Academic Dissertation, Department of Food Technology, University of Helsinki, Finland 61.